The final presentation box, upholstered in Alcantara suede—the same material used to upholster Porsche automobiles. The custom box being crafted in the workshop. RDS Automotive Group (RDS) specializes in the sale of luxury automobiles. The Newtown Square-based company includes Porsche of The Main Line, Maserati of The Main Line and McLaren Philadelphia. When Porsche decided to open a new dealership, they solicited bids from various automotive dealerships to manage the new location. 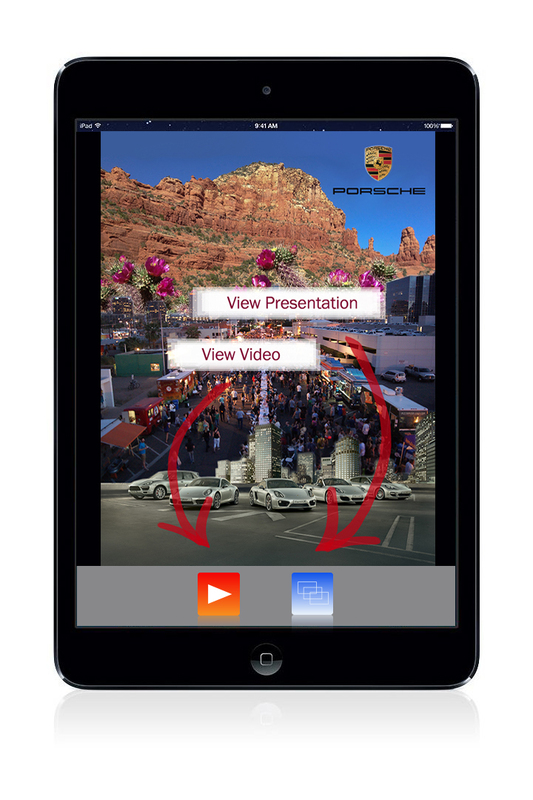 In order to be a serious contender, RDS needed to make a showstopping presentation to Porsche that distinguished RDS from the “super groups” it was competing against. Just nine days prior to the presentation date, RDS enlisted Skidmutro to help create a visionary presentation—a display on par with the Porsche brand itself. RDS’s creative director wanted to house the presentation components—a print booklet, an iPad and a USB drive—in a nice box. However, he didn’t have the resources to turn his vision into reality. We jumped in and sourced a skilled craftsman to build a custom wooden box—akin to a luxury briefcase—to house the presentation components snugly. We ensured the box was created on a rush-basis and to the proper specs—allowing the RDS team to custom upholster it. We also designed a 52-page presentation booklet, including the creation of sophisticated collages. 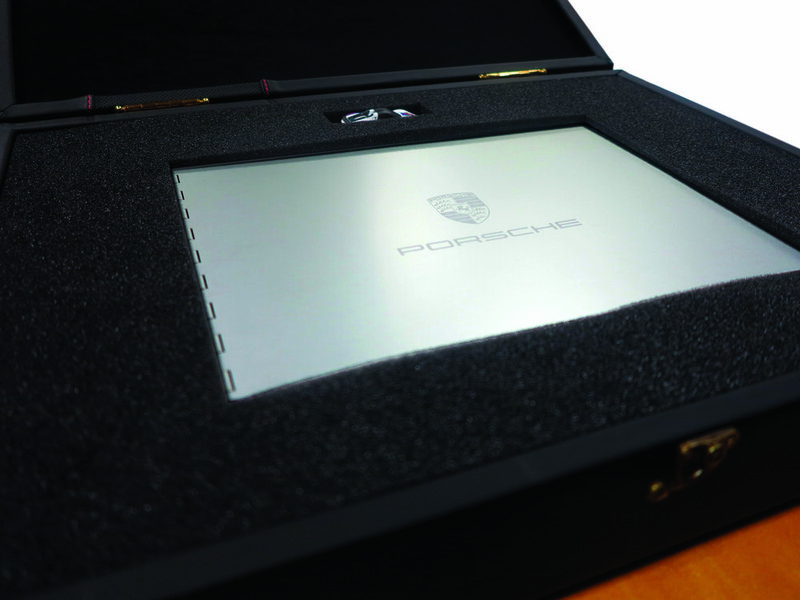 We worked with a local printer to bind the booklet into a metal cover, custom-engraved with Porsche’s logo. Next, we created a foolproof background image for the iPad, making it simple for the user to access the pre-loaded content. We ensured the entire project was completed on time and on budget. The booklet was bound in a custom-engraved metal cover—giving it a sleek, refined feel. All of the presentation components were housed inside the box. The 52-page booklet included the creation of sophisticated collages, based upon the Porshe brand aesthetic.